How many diapers is 1,261 diapers? How many diapers is 1,261 diapers? Enough to make up a large donation from Diaper Circle, a local nonprofit that collects open and full packs of diapers and passes them on to families in need through social service organizations. Since starting, Diaper Circle has distributed more than 82,000 diapers. How many diapers is 1,261 diapers? Enough to fill the back of my station wagon and enough to fill almost every available storage spot in the JF&CS Center for Early Relationship Support® (CERS). A new mom who experienced a short-term crisis and was out of work for three months. She just returned to work but needed all of her income to pay her rent so that she could stay in her apartment and avoid eviction. The gift of diapers, along with some emergency groceries provided by JF&CS, helped her during this transitional time. A client who has been unable to work because of her need to be home with her premature twins, leaving the family with significantly more expenses to cover on a much smaller income. Fortunately, the babies are thriving, so after receiving size 1 diapers initially, the client “traded in” the unused smaller diapers for a larger size. The unused smaller diapers were re-donated to another client in need. A mother living in a homeless shelter motel room with her 10-year-old daughter and newborn. After a traumatic birth experience, this mother had significant medical issues, forcing her to take a leave of absence from her job as a medical assistant and leaving her on bed rest. 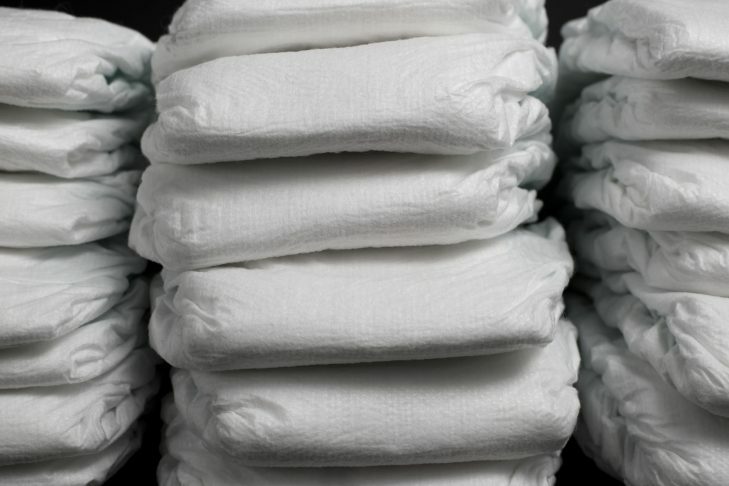 Between her lack of income and ongoing health issues, buying diapers was impossible. The diapers and wipes provided by JF&CS from Diaper Circle, as well as other resources for her older daughter, have been a significant help for the family. A single mom who was living in a shelter and on bed rest while pregnant with triplets. The triplets were born premature and are now a year old and doing well. Their mom is now working part-time and, with assistance from JF&CS, is on the road to getting a stable and permanent home for her family. These partnerships provide one of the most basic things a baby needs – a clean, dry bottom. How many diapers does a baby go through in their first year? Roughly 2,788, which costs $500 at 18 cents per diaper. That is enough diapers that we still need more! We’re already gratefully working our way through our second donation of diapers from Diaper Circle and hope to be the lucky recipients of more in the future. To donate diapers, check out Diaper Circle’s drop off locations around Greater Boston as well as Viv’s Give’s drop off locations or donate to CERS. Katie Britton, MSW, is the Associate Director of Operations in the Center for Early Relationship Support. Prior to joining JF&CS, Katie worked on early childhood and family support programs for Thrive in 5 and The Home for Little Wanderers.